I have a new piece now on display in a group show at Pleiades Gallery, 530 West 25th street NYC. The show remains open until February 13th. 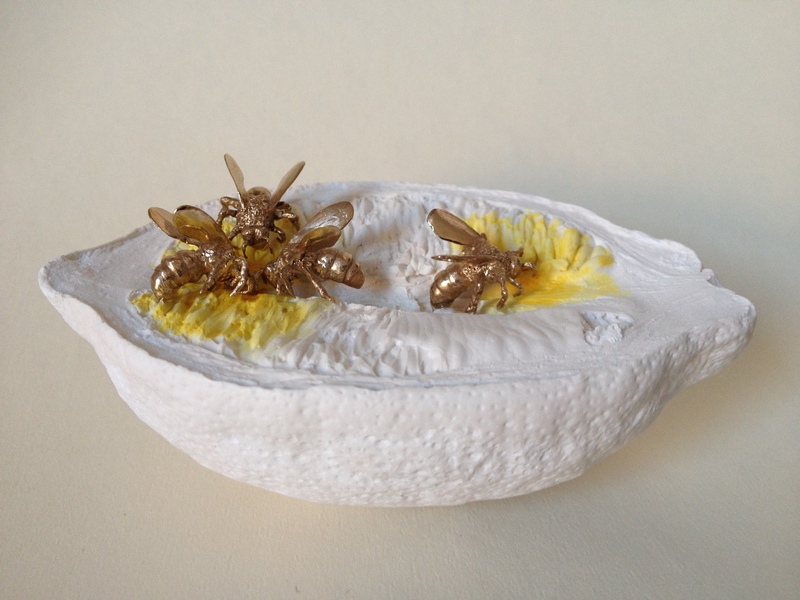 “Four Honey Bees on Cut Lemon”. 3.5 x 2.5 x 1.3. Bronze, Hydro-stone, Ink.